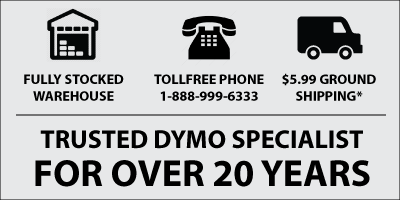 Dymo Rhino 1/2" Vinyl Label Cartridges/Tapes are the most popular size and are compatible with all Rhino and RhinoPro industrial label printers ever made. Following is the full list of compatible Rhino label makers. Dymo Rhino 1805437 Black Vinyl Label 3/8"
Dymo Rhino 1805436 Black Vinyl Label 3/4"
Dymo Rhino 1805243 Blue Vinyl Label 1/2"